If you wish to cancel your booking, you must notify us in writing. Such notification shall be deemed to have been given to us only on the date of the receipt of your letter, since we can act only on receipt. Please state the reason of your cancellation as it may be covered by your insurance policy. Claims must however be made direct to your insurance company. The charges for the land and related assets, air fare, cruise fare and subjective tour packages shall apply against for the reason of cancellation. We believe that you understand and acknowledge that these charges are genuine pre-estimate of listed damages, what we will suffer on account of cancellation. You better know that these damages are called liquidated damages in legal language, which are payable without proof of actual damages. You agree not to dispute such deductions or not to demand the proof of actual damages. Flight cancellation charges of 50% for cancellation if a confirmed reservation is cancelled between 30 to 15 days from the date of arrival and also considered the rest guidelines of service provider partner along with our mentioned terms and conditions. Flight cancellation charges of 75% for cancellation if a confirmed reservation is cancelled between 15 to 7 days from the date of arrival and also considered the rest guidelines of service provider partner along with our mentioned terms and conditions. Flight cancellation charges of 100% for cancellation if a confirmed reservation is cancelled within week to the date of arrival and also considered the rest guidelines of service provider partner along with our mentioned terms and conditions. If booking in cancelled 30 days before then per person communication service charges applicable per person 1000/- INR. Followed by cancellation policy. Tours with Cruise : Less than clear 80 – 50 working days (Depending on the cancellation policy of the particular partner cruise liner) prior to the date of the departure of the tour for the Cruise portion. Trains booking cancellations would be done according the IRCTC Norms and refund will be provided after the deduction of our service charges. We reserve our right to amend or cancel the tour booked by you, without assigning any reason. Such amendment or cancellation may be due to circumstances beyond our control. In such cases, we will offer you alternative tour dates / tours or you would have the option of travelling as individual travellers, not as part of the original tours. 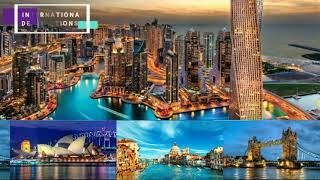 If the alternative date / tour is not acceptable or you do not wish to travel as individual travellers, we would refund the money paid by you after deducting any costs incurred by us on your behalf including cruise cost, airlines, permits / visas, etc. within a period of 30 days from the date of amendment or cancellation. However, we would not be responsible or liable to pay any compensation or damages or consequential loss or interest or to refund any other expense incurred by you.